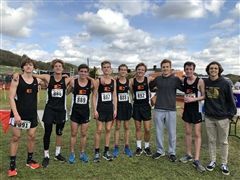 The Boys' Cross Country team was represented at the State Meet by the following runners: Fred Butler, Nyro Child, Roman Child, Sam Horn, Max Keller, William Vreeland, and Disser Wallace. 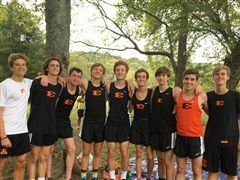 The team came in 11th place and Sam﻿ Horn was the top Ensworth finisher at 19:04. The Boys' Cross Country teams continued to hit new PR's as they competed at Steeplechase for the first time this season. The five scorers for the varsity team were Sam Horn, Roman Child, William Vreeland, Fred Butler, and Nyro Child. The top three finishers for Ensworth in the JV meet were Luke Lapre, Jackson DeFrancesco, and Cade Karl. The Boys' Cross Country team competed at Vaughn's Gap. Sam Horn, Roman Child, William Vreeland, Max Keller, and Nyro Child all finished in the top 30 and scored for the Tigers. The team competes again on Wednesday, October 17, 2018 at the Metro City Meet.